So I'm actually kind of doing an OK job now of getting through some of my untrieds. I feel a little bad showing you this one, because I'm not altogether sure it will be available again (more on that later). 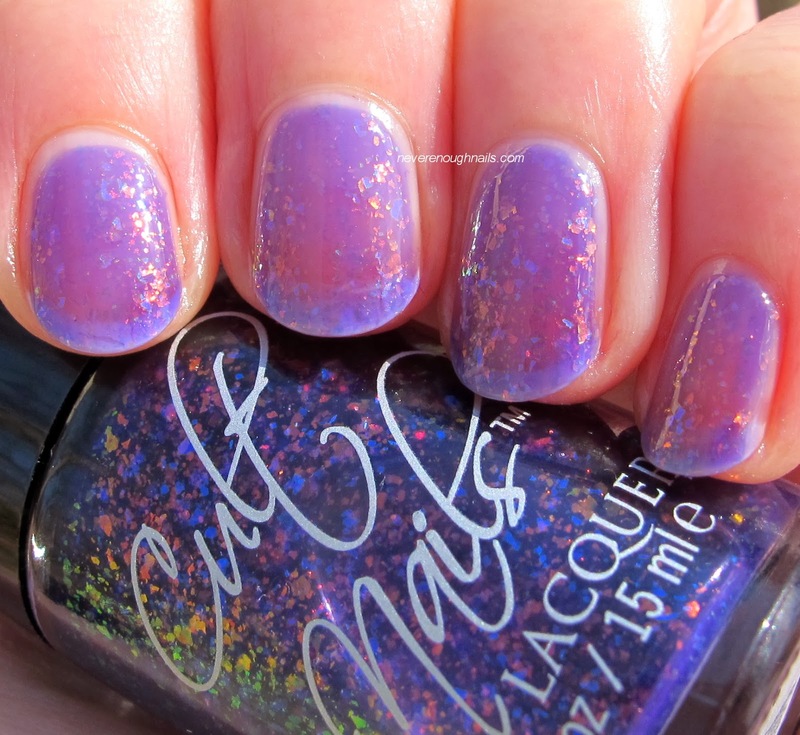 This purple jelly base with flakies is Cult Nails Seduction. I don't own a lot of Cult Nails polishes, but it seems like I do like to buy their flakie polishes. However, I'm not 100% in love with this one. 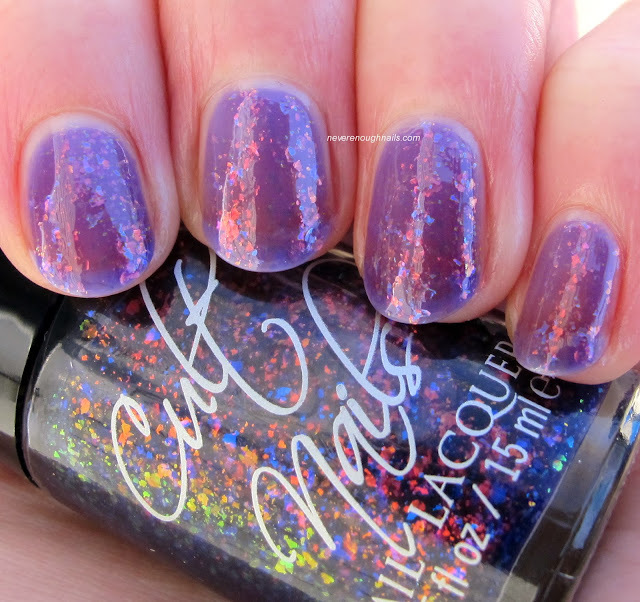 This is four coats of Seduction and I'd really like it to be more opaque. I also felt like the flakies were not popping. I thought maybe they'd pop more over a dark color. Here is two coats of Seduction over Chanel Taboo. Better, but still not the festival of iridescence I was expecting. The formula was easy to apply, no worries there. 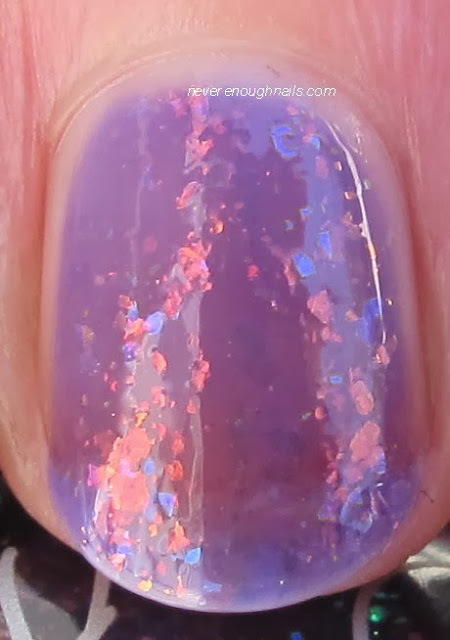 I just felt a little let down by the sheerness of the jelly base and the fact that the flakies weren't as intense as I was hoping. Seduction is still on Cult Nails' site, but it says it's currently unavailable. So this may come back in stock eventually, or it might not. 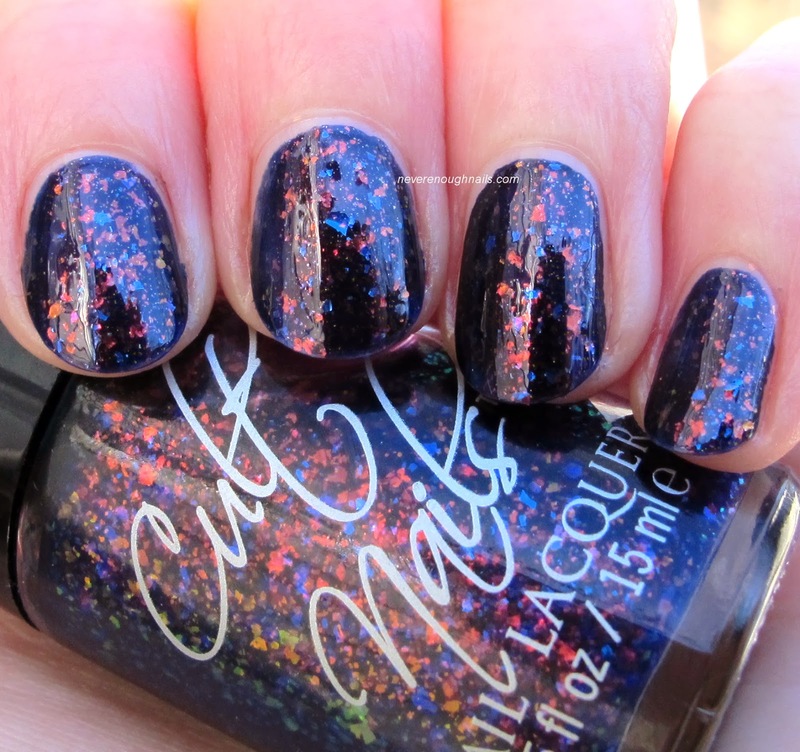 I'm not sure you're missing much if it doesn't come back, I think Cult Nails has made better flakies. And now I think I'll give my untrieds a bit of a rest and focus on holiday polishes and nail art!